Two high-profile incidents of Spanish speakers being challenged for not using English have raised familiar arguments over language and immigration in America. Ana Suda and Mimi Hernandez were queuing inside a petrol station in rural Montana when a Border Patrol agent demanded to see their identification. The two US citizens were told they had been stopped because they were speaking Spanish in a "predominantly English-speaking state". In a video of the 16 May incident, Ms Suda asks the agent if he is racially profiling them. "It has nothing to do with that," the agent replies. "Ma'am, the reason I asked you for your ID is because I came in here, and I saw that you guys are speaking Spanish, which is very unheard of up here." The women were detained for around 35 minutes before being allowed to go. US Customs and Border Protection says it is reviewing the case. Ms Suda told the Washington Post the incident left her feeling uncomfortable speaking her own language. Days later, on the other side of the US in New York City, footage of a lawyer threatening Spanish-speaking staff at a restaurant lit up social media. 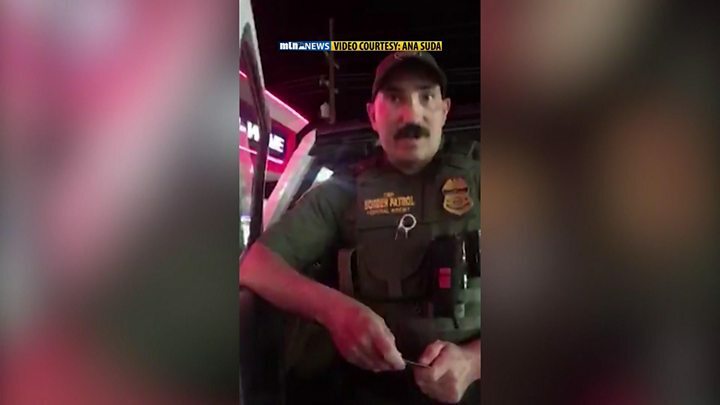 In the video the man threatens to call Immigration and Customs Enforcement (ICE), the agency responsible for deportations from the US, after hearing restaurant staff speaking to each other in Spanish. "They should be speaking English," he says in the video. "My next call is to ICE to have each one of them kicked out of my country." Are US immigration authorities allowed to stop people for speaking Spanish? The US Customs and Border Protection (CBP) has a nondiscrimination policy in place that prohibits using racial and ethnic stereotypes to conduct stops or searches. But the language remains vague over how agents actually decide to question individuals. 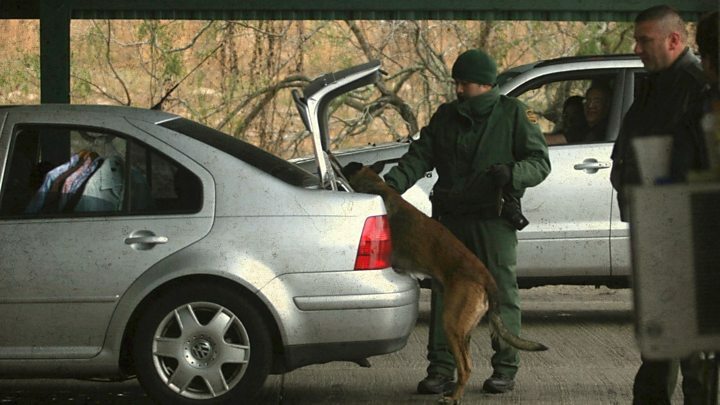 The agency told the BBC in an emailed statement that "agents have broad law enforcement authorities" and that "decisions to question individuals are based on a variety of factors for which Border Patrol agents are well-trained". CBP acknowledged they are reviewing the Montana incident, but emphasised "agents are not looking for one factor, but a multitude of indicators that when put together raise a reasonable suspicion of illegal alienage." Media captionWhere and when can US border agents lawfully search you? Chris Rickerd, Policy Counsel at the American Civil Liberties Union, condemned the CBP agent's actions in Montana. 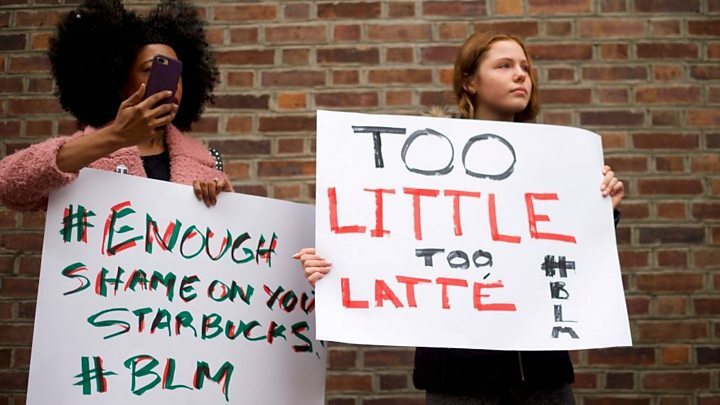 "It's outrageous for CBP to claim that a person's speaking Spanish at a convenience store can justify unequal treatment based on race or ethnicity," Mr Rickerd told the BBC. "Border Patrol leadership must immediately and clearly condemn demanding papers from anyone for speaking Spanish," Mr Rickerd said, adding that the agent ignored the constitutional rights of the two women when he pulled them aside for speaking a foreign language. "The heavy burden is on CBP to explain the agent's own words that he relied on a language spoken by tens of millions of lawful residents provided just cause for demanding papers." How many Spanish speakers are there in the US? The US is home to 41m native Spanish speakers, according to census data - that's 13% of the population. And with another nearly 12 million bilingual Spanish speakers, the US is the second largest Spanish-speaking country in the world, ahead of Spain itself. The number of native Spanish speakers has more than doubled since 1990, and if current trends continue, the US could even overtake Mexico in the decades to come. Even among non-Hispanics, Spanish is America's most spoken foreign language. While 1.9m New Yorkers speak Spanish at home, the Border Patrol agent in Montana was right about Spanish being relatively unheard in his state - the latest census data from 2011 shows only 13,000 residents (1.4%) of the population speak the language. Is English the official language of the US? English is the language of the US government, businesses, and many aspects of day-to-day life across the country. But although more than 30 states have made it their official language, that is not the case federally. In 1981 and 2006 US senators tried and failed to introduce an amendment to make English America's official language. And while the US is becoming more overtly multilingual, the data shows English is safe. In fact, according to a Pew Research Center study, children of Spanish-speaking immigrants are far more likely to lose their Spanish in the process of picking up English. Are these incidents a new phenomenon? No. The debate over what language Americans should speak has raged throughout the nation's history, particularly as the US expanded West in the 19th Century and immigrants arrived from around the world. But the rise of smart phones and social media have made confrontations, whether with the authorities or a stranger, easier to record and report. Anti-Hispanic incidents have made up around half of all reported ethnic-bias hate crimes since 2004, according to FBI data. The debate over immigration and language has only intensified under President Donald Trump whose tough stance on undocumented migrants was at the heart of his successful election campaign in 2016. What's your experience of speaking a foreign language in the US? Send us your comments.